Accolade Furniture is a group of artists, designers, and woodworkers who work together to create limited productions and one-of-a-kind furnishings. We endeavor to establish a new standard of elegance and sophistication for American-made furniture. We design for enduring aesthetics and we fashion each piece to be a timeless addition to any modern home. Accolade was founded by Tim Fagan and Ian Kirby in 2005 to fill the gap left by larger manufacturers and smaller craftsmen. We envisioned a furniture company that would take advantage of our seventy years combined design and woodworking experience. Together we have resolved every problem of design or production that has been laid before us. With our team of talented professionals we can realize any concept into a fully-functional and properly proportioned addition to any home. We believe our clients are integral to the success of a custom piece and remain attentive to their needs throughout the process. At Accolade our goal is to create a piece of furniture that is relevant to modern life and crafted to an exacting standard; whether it be curved moldings, architectural columns, pilasters, furniture, or cabinets, we can build it. Tim Fagan got his start in the art world over twenty years ago as a sculptor. He graduated from the San Francisco Art Institute in 1983 and returned home to the East Coast. Later he joined a group of artists and artisans at Daggett Street Studios in New Haven where he began working in industrial design. He then began making furniture and architectural elements while also fabricating machines to help him do the work. 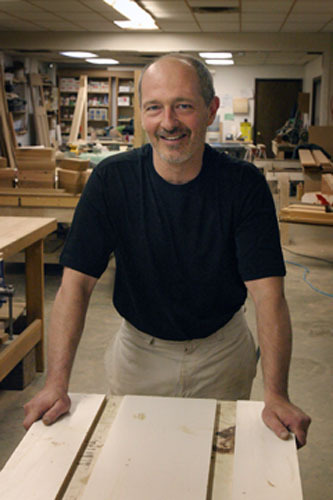 For more than fifteen years now he has been making high-end custom furniture for clients all over Connecticut. 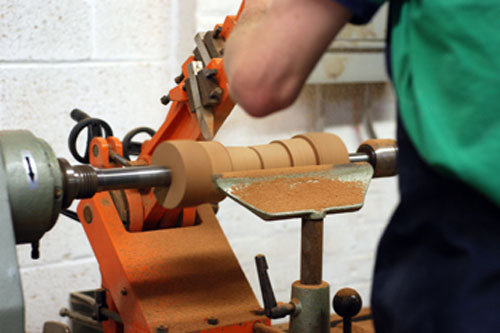 Ian Kirby's foundations in solid wood furniture making were laid between 1952 and 1955 in workshops where Edward Barnsley was the guiding light, and where all the craftsmen were steeped in his methods. In 1962 he was awarded the National Diploma in Design from Leeds College of Art after completing a four-year design program. Ian then moved to London to study advanced courses in furniture materials, furniture finishes, and furniture design at the prestigious London School of Furniture. After his studies, he remained in London to teach furniture making and design at London University until he came to the U.S. in 1973. He is well known in woodworking circles as a master craftsman and is also a prolific writer on the subject of fine furniture. 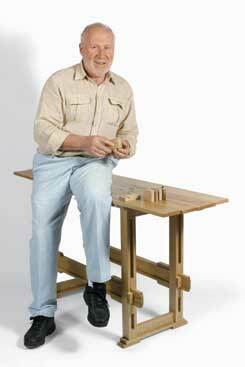 Ian has also written numerous articles for Fine Woodworking, American Woodworker, and Woodworker's Journal. We primarily serve New England and New York, though we are able to ship nationwide.